Antonio Pedro Martins, III obituary. Carnes Funeral Home. On February 21, 1966, a bouncing baby boy was born to Antonio Pedro Martins, Jr. and Betty Palmer Martins whom they named Antonio Pedro Martins, III, affectionately known to all as “Lil Tony”. He was educated at Hitchcock ISD and graduated in 1984 from Hitchcock High School. Immediately upon graduation, he began his career training with Houston Lightning and Power Electric Company, currently known as Center Point Energy, for 30 plus years until his health failed. As he encountered many health challenges, he met them head-on with an optimistic attitude. 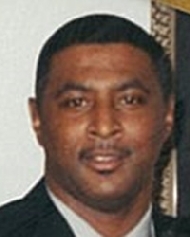 He was a member of Greater St. Matthews Baptist Church, under the leadership of Pastor William Randall, Jr.
Lil Tony was a devoted son, father, and friend. He was an avid sports fan, loved fishing and working on cars. He loved music and had become a recent follower of Facebook. He was an official for Texas Association of Sports Officials. Although he was an amputee, “Lil Tony” never complained about his physical challenges and was patiently awaiting a heart transplant. Lil Tony passed away, Sunday, October 22, 2017, at Mainland Medical Center Hospital in Texas City, TX. He is preceded in death by his father Antonio Pedro Martins, Jr, his eldest son, Antonio Pedro Matins, IV, and his maternal and paternal grandparents. His legacy will be eternally celebrated by his loving, faithful, and affectionately committed mother, Betty Palmer Martins; loving son, Matthew (Angel); beloved granddaughter, Aniyah; brother, Denzel Martins; (Keneisha); sister, Jacquelyn Martins and play sister, Tre Shawnda Woodkins; nieces, De’Asja, Dae’Breon and Skylar; uncles, Kenneth Martins, Phillip Palmer, Lester Johnican, and Emmitt Johnican; great-uncle, Bennie Phillips; aunts, Elizabeth Cobbins, Alice Clay, Mozelle Martins, Iantha Martins (John), and Phyllis Davis (Anthony); godchild, Anthony Harris, Jr.; great aunts, Walterine Stewart, Delores White and play aunt, Nadine Smith; devoted relatives and friends, Elgin and Angie Burleson, Chelsea Gates, Jamaliah Davis, Tammy Deyon, Cassie Davis, Dee Dee Mc Collins, Marcus and Lavonia Petteway, Terrell Simpson, Larry Palmer, Steven Spells, John Kennerson, Pastor Darrell Glen, and many other relatives and friends. A Public Viewing will be Saturday, October 28, 2017, at 8:00 AM followed by a Service to Celebrate His Life at 10:00 AM with Pastor William L. Randall, Jr. as the Celebrant. Both Services will be held at Greater St. Matthew Baptist Church 6333 Hwy 6 Hitchcock, TX. He will be buried alongside his father and son at Grace Memorial Cemetery. Hitchcock, TX. Memorials may be sent to Carnes Funeral Home 3100 Gulf Freeway Texas City, TX.